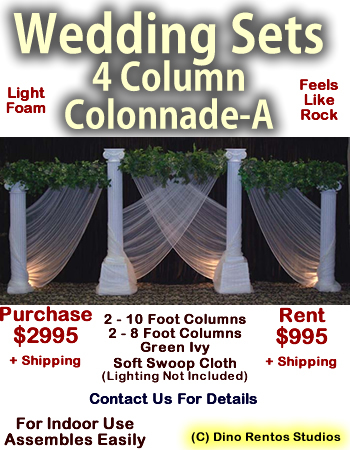 Custom Roman Colonnade - 4 Column Foam Set - Dino Rentos Studios, INC. This Roman Colonnade is great for weddings! It is hard coated so it feels like stone. With 10' columns in the center and 8' columns on the side.